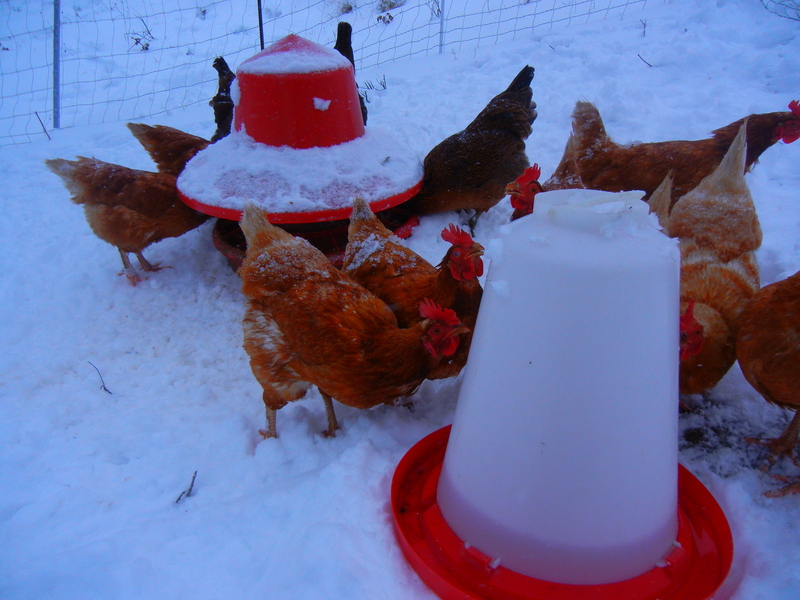 Chickens do just fine in the snow – even in a day-ranging scenario – when they are accustomed to the weather. Since our 12 Golden Comets do not have a heated/lighted coop (and still producing 8 eggs/day in this weather! ), their feather growth is appropriate for a normal outdoor bird. With their two shelters, they can get out of the rain/snow/wind to stay dry, but they do just fine maintaining their own body temperature. Our four Araucanas stopped laying regularly months ago but are still big, strong healthy birds.